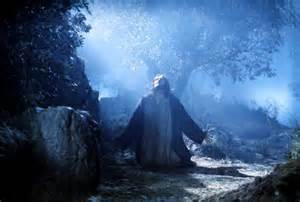 When soldiers came to arrest Jesus in the garden of Gethsemane, He asked them, “Who is it you want?” They responded, “Jesus of Nazareth.” When he said, “I am he,” the soldiers drew back and fell down to the ground. Why? The power of his words, the truth of who Jesus really was, left them unable to stand. This entry was posted in Christianity, Faith, Life, Love and tagged Bible, death, Easter, God, Good Friday, Jesus, purpose, Questions, resurrection by lyonsroarforgod. Bookmark the permalink. Thought provoking question for us all to think about and answer! Yes, our answer will make all the difference in our lives!